SUPPORT, partnership and teamwork are all characteristics of your relationship with Wilson Equipment. 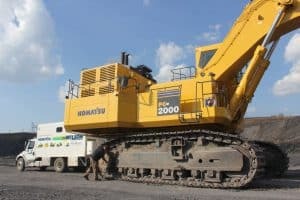 With 12 highly skilled and competently trained technicians between the shop and field Wilson Equipment should be your first call for Komatsu, GEHL or Dynapac services. 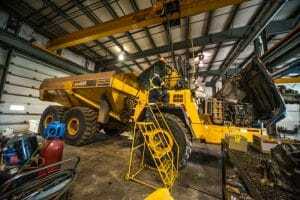 Let us service your machine in one of our 7 service bays at our Truro shop. 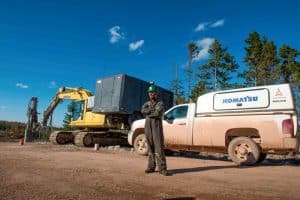 Wilson Equipment is ready to dispatch a field service tech to your location anywhere in Nova Scotia. We are one call away! No fuss, no muss! Wilson Equipment’s Lube truck travels the province performing on site lube, oil and filter changes. This service minimizes the interruption to your jobsite and we take care of the disposal of your waste products. Not a Wilson Equipment machine? No problem! Call today to book.